This past weekend I spent a brief time in a place where I used to spend a lot of time–eastern Connecticut. My ex, before he was my ex, and I spent as many weekends and holidays as we could on a small lake that spanned the Connecticut/Rhode Island border. The lake is called Beach Pond, and up until a few years ago it had a small beach on the Rhode Island side; hence, the name. Our lake house on the Connecticut side had a small lakeside yard and dock, a large deck, and a great view, which looked across the lake onto the Acadia State Park in Rhode Island. On the drive from Providence Airport to Preston, CT, where I stayed at my ex in-laws, I have to pass by Beach Pond. I’ve only done this three times since I was last there in 2005 before the ex became the ex. For some reason, last Friday on the third time, I recalled that I wrote most of the rough draft of what’s now a four-book series at the little gray house on the lake. Now, I’m not much of a water person. I’m a pool swimmer, and bodies of water with fauna in it make me a bit nervous, but sitting beneath some good-sized oak trees with a beer at hand, and notebook or laptop with me, I was in writer heaven. On the weekends, the place was very active in the afternoons–water skiers, JetSki-ers, canoers, kayakers–but in the mornings, the place was quiet and still. 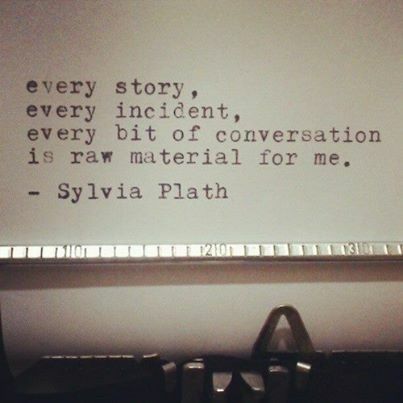 My ex had, as one of his many good qualities, an ability to understand what writing meant to me. He knew it went far beyond the fact I did technical writing for a living. He knew what I wanted to do with my writing, and he encouraged it. He never once complained about the fact a notebook accompanied every vacation we went on and that some part of the day had to have writing in it. At Beach Pond, he would hop into a small row boat and explore all the various nooks and crannies of Beach Pond, and I would write–pages and pages, sometimes by hand, sometimes on a monstrosity of a laptop (This started in the late nineties.) After two years of these getaways, I had a complete rough (very, very rough) draft of a novel. I don’t know why I hadn’t thought of that until last Friday as I passed by Beach Pond and felt nostalgia for the happy times I’d had there, but the feeling was something like remembering where you had your first kiss or the first time you made love to someone. The place has an unending significance. This is where I wrote my first, real novel. This is the place whose quiet beauty helped inspire me to do that. Now, inextricably, that place will always be associated with that particular manuscript. Someday, I’ll turn the pages of the books it has become, and I’ll hear the lap of wavelets against the bulkhead, the rhythmic splash of the oars on the row boat as my ex explored a place he’d known since he was a child all to give me the time to create. Place, or setting, within a novel is often crucial to its plot, but don’t forget the place where you wrote it. That could be just as crucial–and special. Some lyrics from one of my favorite songs, “Try to Remember,” from the great musical The Fantasticks. Except that life has been anything but slow and mellow because, hey, it’s September already. How did that happen? However, fall is my favorite time of year, with the colors changing and the air cooling. From my deck the mountains are crisp and clear, and you can see why they’re named the “Blue Ridge.” Fall is a great time of year for writing, for creativity in general. It must be the colors or the change in the angle of light or the unrelenting march of the need to do holiday shopping. I shift from writing in my office to writing on my screened-in porch or my deck. The air is fresh, the ragweed is annoying, but there’s just something about change in the air which makes for great writing. A little progress report on the novel draft I sent out to beta readers: I’ve got three sets of comments back, and there are no major gaps and gaffes, just some great line-edit suggestions and some plot-enhancement comments. I’ll get started on that next week, and then I’ll have a decent third draft to send to my workshop instructor for his opinion. Exciting stuff, and I have a really good feeling about this manuscript. As inspiring as the change of seasons can be, the photo prompt for Friday Fictioneers is downright rousing. One look and a lot of memories came back–packing up my grandmother’s knick-knacks from her apartment after she died. Because I lived in an apartment then a small townhouse, they stayed packed for almost forty years. When I moved into my new house, I had room for a curio cabinet, so I unwrapped them (great to read newspapers from 1973! ), and they’re now on display in my guest room. If you can’t see the link in the title in the paragraph above, scroll to the top of this page, click on the Friday Fictioneers tab, then select the story from the drop-down list. June Friday Fictioneers is Busting Out All Over! Then for some reason I thought about a time in my life when my parents were separated and my time with my father, who was in the Army, became less and less. Whenever I did see him, it was as if he tried to outdo the previous present he brought me. All I wanted was the time with him, but how does a five year old communicate that? So, today’s photo made me think about what part-time dads would do to keep their daughters their little girls, and “Young at Heart” came to me. I seem to be on a sentimental kick lately, but I’m certain the dark will return. It better. As usual, if you can’t see the link on the story title, scroll to the top of the page, click on the Friday Fictioneers tab, then select the story from the drop-down list.